Get excited! We’ve got another Expert Interview for you! We’re interviewing freelance SEO writer Yuwanda Black from Inkwell Editorial. Yuwanda’s what I call a true professional, and we’re really excited to have her on board to share her expertise with us — and how it’s possible to make money writing SEO articles. A little background: many of the readers (and students!) here on Proofread Anywhere have expressed an interest in branching out from proofreading — meaning, offering other services they can do at home besides proofreading. And I don’t blame ’em one bit! Proofreading is really hard work, and it can get really tough on your eyes. I personally really enjoy branching out into other areas of business (blogging, for example!) to keep my interest throughout the workweek. Without further ado, let’s get into this wonderfully informative interview. Yuwanda, tell us a little about yourself and how you got started in freelance writing. Mine was a windy road into freelancing. But basically, I worked for a legal trade publisher in New York City while I was in college. I held various positions; one was as a copy editor. The company started outsourcing work to me (and my sister, who also worked there at the time. In fact, she got me the job there). After a year or so of this, we were doing pretty well and my sister left the company to start Inkwell Editorial. A year after she left, I joined her when the company could support two salaries. Inkwell Editorial started out as an editorial outsource agency. We took on proofreading, copy editing, coding (at the time SGML) and word processing jobs. Our previous employer was our biggest source of projects for the first few months. We also marketed for and landed outsource work from other companies like Random House, McGraw-Hill, Pearson Publishing, etc. So basically, I got my start as a freelancer by first having a full-time job in publishing, then leaving that to go into business with my sister at Inkwell Editorial. Inkwell has had several rebirths: from editorial outsource agency; to editorial outsource and staffing agency; to now, an online forum for info on editorial freelancing (primarily freelance writing). Favorite part: Autonomy. Especially now as I’m at a point where I pick and choose the projects I want to work on. I turn down jobs because I write and self-publish my own line of eBooks, which is where my primary focus is these days. Least favorite: Writing on subjects I don’t really enjoy. But if it pays well and it’s a client I enjoy working with, I just look at it as part of the job. SEO writing is VERY flexible. I’ve worked from everywhere – from a friend’s apartment in Spain; to a roadside bar way up in the hills in Jamaica; to a pizza joint in a Kmart in the U.S. Virgin Islands (it was the only place I could find reliable internet service); to a Starbucks in New York City. They don’t care when you work on them, e.g., middle of the night; on your lunch break at your full-time job; while the kids are napping and/or in school; etc. All clients care about is if you can meet the deadline. This is why it’s super important to NEVER miss a deadline. It’s funny, as a self-publisher, I miss my self-imposed deadlines all the time. But I pride myself on never missing a client deadline. I think in all the years I’ve been freelancing (since 1993), I’ve missed two or three – and that had to do with internet outages while I was traveling – which is something else to factor in when you’re quoting deadlines. One tip: Deliver early where possible. If you say Thursday, then get it to them on Wednesday. You don’t have to do it all the time (or you train them to expect it early), but if you do it 30-50% of the time, it’ll cement for them how reliable you are as a freelancer. These are the types of “intangibles” that make you invaluable to them as opposed to another, for example, “cheaper” writer. What’s the demand like for SEO articles worldwide? What kinds of companies are looking for them? Bottom line: If salaries are going up, and companies are spending money on it, then it’s working. And most companies don’t have the in-house staff to produce all the content they need; so who do they turn to? Freelance (SEO) writers. As for what types of companies need content, if you do business on the web or use the web to cultivate leads and sales, then you need content. I’ve written content for plumbers, tree-cutting services, wedding photographers, wire jewelry makers, computer services companies, limousine service providers, hotels and ski lodges – you name the type of business, and I’ve most likely written content for it. Again, if you do business on the web – even if you have a brick-and-mortar presence – you need content. Think about it, how do you find a new restaurant, where the cheapest limo service in town is, the new beauty salon that specializes in curly hair, where to buy the best seafood, where to find a charming bed and breakfast? You hit the web – either via your laptop or your iPhone. FYI, mobile search is HUGE. If you decide to specialize in writing content for mobile devices, that’s pure gold! Besides a love for writing, what else is required to be successful in this type of business? IMO, you don’t have to have a love for writing to be a successful freelance SEO writer. I’m not wild about writing, to be honest. What I am wild about is the freedom that working for myself allows me, and the fact that I can earn from anywhere (i.e., I’m not tied to a, for example, brick-and-mortar business). As long as there are websites and blogs (and social media – don’t forget social media writing, which is part of SEO writing! ), there’ll be a need for good content, which means my skill set will be forever in demand. That’s what I love about this niche of freelance writing. It’s evergreen – and because I know it and have built a reputation in it, I’m able to earn as much or as little as I want. And it’s something anyone can do (with the right information/training). Besides good writing skills, you need to: (i) learn how to market – and be persistent about it; (ii) be self-motivated and organized; (iii) learn how to charge appropriately; and (iv) be willing to learn new things (i.e., stay up on the constantly evolving field that is SEO). The fundamentals of SEO are the same; but staying up on things like Google’s constant algorithm changes (which can be a pain in the patootie!) are important. I discuss in the eBook how I do this. Again, once you know the fundamentals, it’s super easy. What’s the earning potential for this type of work? Literally unlimited. One copywriter who bought the eBook five years ago earned over six figures after his fourth year in business. Another got so busy after a couple of years that she had to hire freelancers (she started part-time and once she went full-time, got busy pretty quickly). It was easier to land jobs when I started out back in 2007, but I got so busy within the first couple of months that I had to hire writers. I once wrote an article entitled, SEO Content Writing: 4 Reasons It’s Possible to Earn A Million Dollars Per Year Writing Web Articles (Really!). I wrote it because I really believe that if you want to, you can earn seven figures in this business. Now is that a lofty goal? Heck yeah. But is it feasible? Oh yeah! Especially if you concentrate in high-paying niches like legal and medical, and add on services like social media management, which goes hand in hand with writing SEO content. Who is not a good fit for the SEO writing business? For those who are a good fit, how would you recommend they get started? If you’re not determined, self-motivated and don’t like learning new things, this business is not for you. NO business is, because that’s what entrepreneurship is. Someone can teach you the fundamentals (which my eBook does), but there will always, always, always be something that you don’t know the answer to that you’ll have to figure out on your own. So if you need someone to hold your hand, or you’re not comfortable making decisions – and living by them, no matter the outcome – you’ll fall flat on your face as an entrepreneur. But if you like having the freedom to determine how much you earn; if you don’t mind taking the time to learn the trade and then put that knowledge to use; and if you’re self-motivated, I can’t think of another easier, more low-cost business you can start that will allow you to make good money within a reasonably short period of time. If you already have a computer/laptop and an internet connection (and the info in the eBook), you’re good to go! That’s really all you need (besides good writing skill and determination) to make a living as an SEO writer. I know because I’ve done it. I give you my marketing plan, tell you where to look for jobs, cover how much to charge, and so much more in the eBook. In short, I give you everything you need to get started right away. You can be up and going in as little as 24 hours – really! Note: Most take a week or so to get up and going, but you can literally be up and going within a day or two if you want. I’m American, but right now I’m sitting at an internet café in Jamaica (Negril) where I currently live full-time. My internet is out at home (yet again!). Wacky internet service is one of the prices you pay when you live in the tropics. But, I just scooted on down to one of my favorite haunts where I know they have it — which happens to be a restaurant right by the water – and bam, I’m back in business! And this is why I love what I do! I hope the insight here helps your readers, Caitlin. SEO writing is not a fad – it’s a real, viable, work-from-home (or anywhere else with internet you choose) business. It’s a lot of hard work (and don’t let anyone tell you any different), but the rewards are beyond worth it, in my opinion. Now, I’m going to go cool off in this ocean. The sun is shining right on the table where I’m sitting and I’m dripping sweat! Ah, the entrepreneur life. We are so grateful to Yuwanda for taking time for us here at Proofread Anywhere! Yuwanda’s right — SEO writing opportunities are quite literally everywhere. You just need to know how to get started. Thoughts on the SEO writing business? Do you have questions for Yuwanda? Leave a comment below! Than you Yuwanda for all of your great insight. I’ve been trying to get into the writing of reviews and articles and am finding it interesting. But of course I never think my writing is as good as what someone else could do, although I have been paid for my writing. I’m hoping with a bit more experience I will be able to get my confidence up and be able to feel comfortable with my writing. I had to read most of the blurb but I still don’t know what SEO stands for . Very interesting! I am from Jamaica, so really enjoyed hearing that you are enjoying being productive there! I am going to get the book for sure. Wish me luck everyone! I purchased the book last night and couldn’t put it down! Very informative, but am unable to open the numerous links provided. So I am jotting them down and opening separately, slow going, but am really interested in this SEO writing! Thanks to Catlin and Yuwanda!! What a very informative interview. 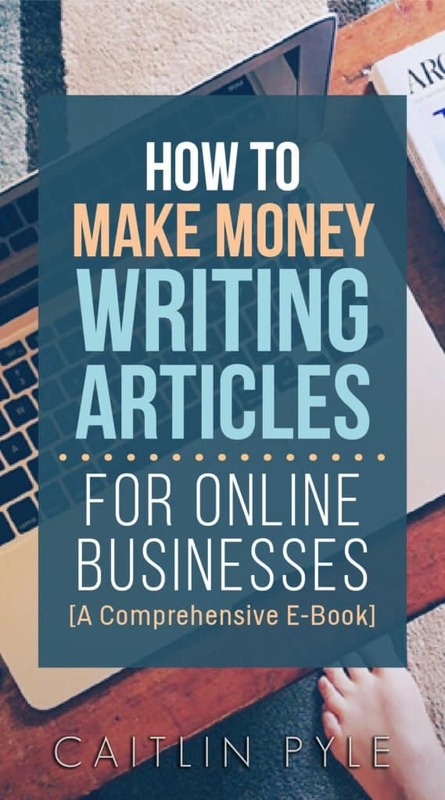 Yuwanda, doees your eBook explain “how” to write SEO articles, or just the marketing side of freelance writing? What type of support is offered? Do you have a dedicated Facebook group? Thanks for your comment, Shayna; however, I could not find that mistake. Could you specify what sentence you are referring to? I found it on the Pinterest link, but not on the link that you sent! Im sorry haha I am not crazy, I promise! I had a question for Yuwanda . Is this book good if you have no experience? I want to find a freelance option for myself but I do not have experience writing SEO articles so I am not sure if this would be the best option for me? I love writing, just have not done much since having my son. I would also recommend using Langmanual to make money writing seo articles. Langmanual pays you based on the views your posts gets. It has a public search feature and users can also follow you, like your posts, and leave comments. Thus, you can build an audience while making money. Can you do SEO writing under a pseudonym? Or, does it have to be done under your legal name? The vast majority of the content you’ll be writing falls under the “work for hire” agreement. What this means is, when you write content for a client, it belongs to them. They don’t have to (and most of them won’t) put your name on it (ie, won’t give you a byline). You’re in essence a business ghostwriter. Thank you for making this possible. Whether, am a business ghost writer, what really matter is that I’m getting paid. But one thing I’m not getting right is that, am I writing or am editing others people’s write ups?